The premium sparkle of platinum bracelets will illuminate your style. They accent a full range of fashion with their luxurious look and feel. We design wide platinum bracelets for women that feature row upon row of glistening diamonds, perfectly aligned for maximum impact. 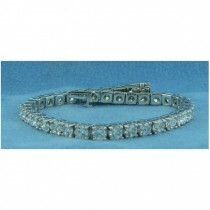 A stunning platinum diamond tennis bracelet is jewelry to be treasured. 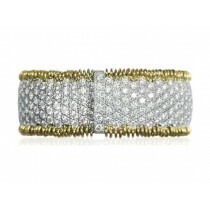 Also take a look at our artfully designed round and baguette diamond bracelets. They offer a brilliant beauty that always flatters. On our site you can easily review detailed information on each handcrafted bracelet including: dimensions, diamond shapes, total carat weights, diamond and colored gemstone quality, and more. Platinum is denser than gold and can be plated for an even greater shine. If you want to drape your wrist with magnificent jewelry made from an exclusive metal, platinum is the perfect setting for you. Discover the best platinum and diamond bracelets online at A. Fishman & Son, and then contact us to learn more about your favorites! 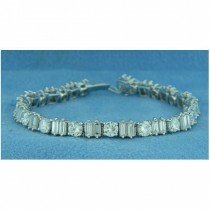 Choose the glittering beauty of platinum diamond bracelets for women. Lustrous platinum is the naturally white precious metal. Its brilliance makes an ideal setting for diamond jewelry. At A. Fishman & Son, we create our women’s platinum and diamond bracelets in NYC. And we own every diamond we use! That means we provide upfront information about the diamonds encircling your wrist. 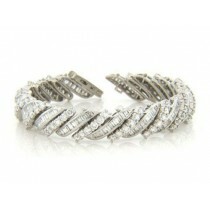 You’ll know the cut, color and clarity of the stones in your platinum diamond bracelet before buying. As you make a setting selection, consider the differences between platinum and white gold. 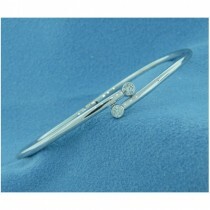 If your budget is less flexible, white gold bracelets have the look of platinum at an affordable cost. Call us today for details on our beautiful bracelets!